Oak console with brick red accent. Frank Console Bench - used with Frank sofa seating. Frank Console (High) in brushed light oak. The Frank console is a great stand alone piece with its striking glossy brick red accented interior, or the perfect accompaniment for the Frank Seating System compositions. Made in rough cut or smooth oak, this table is available in a series of sizes and finishes. If you cannot see the element you are looking for or need further information please contact us by email at purves@purves.co.uk or call 020 3397 3723. 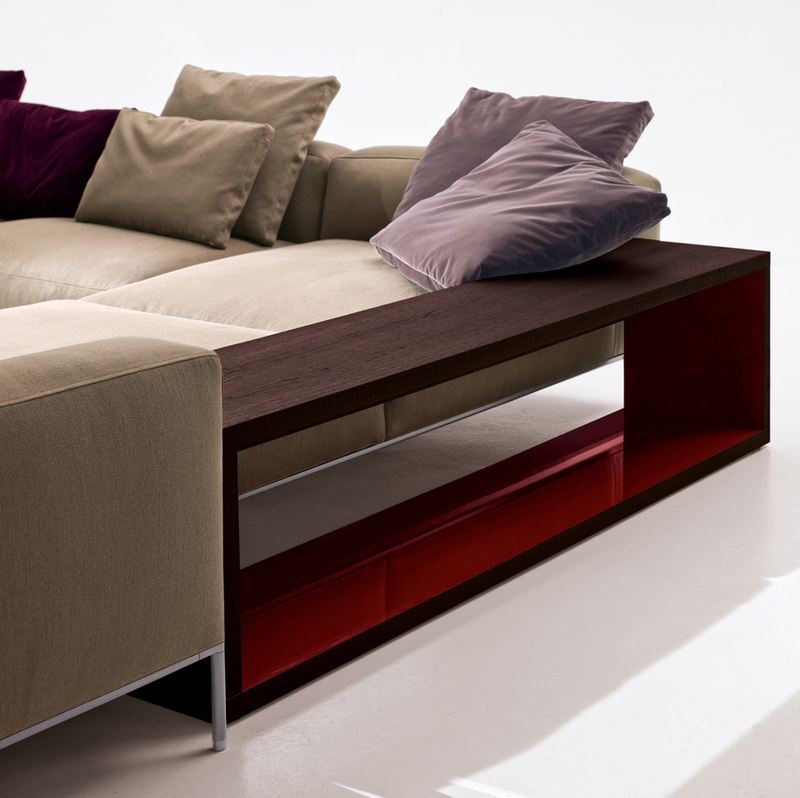 * FE230 is used on Frank sofa composition FR005. * Category thumbnail quotes from price for FE149 console in brushed light oak.